Click on one of the conditions below to see how we can help. Contact us today for advice and a discussion on what is the best route forward for your condition. If so, get in touch with us today for a free consultation. We will assess if we have a service for your condition. Neck pain can be caused by a variety of conditions. One is facet disease, or arthritis of the neck. These are joints that allow you to turn your head left and right and up and down. Just like a knuckle in your hand, they can become arthritic, painful, and enlarge over time. Patients will complain of pain that stays primarily in the neck but may also radiate up towards the base of the skull and out to the shoulder blades. The diagram below shows you the referral pattern from each level of the spine. Pain from diseased facets can be severe. Thankfully we have treatments that can help. Look under the services section and learn about medial branch blocks and radiofrequency ablation. Medial Branch blocks diagnose the facets as the cause, and radiofreqeuncy ablation “ablates” the pain fibers going to those painful joints. Patients will complain of neck pain and spasm, as well as pain that radiates down the arm into the hand. 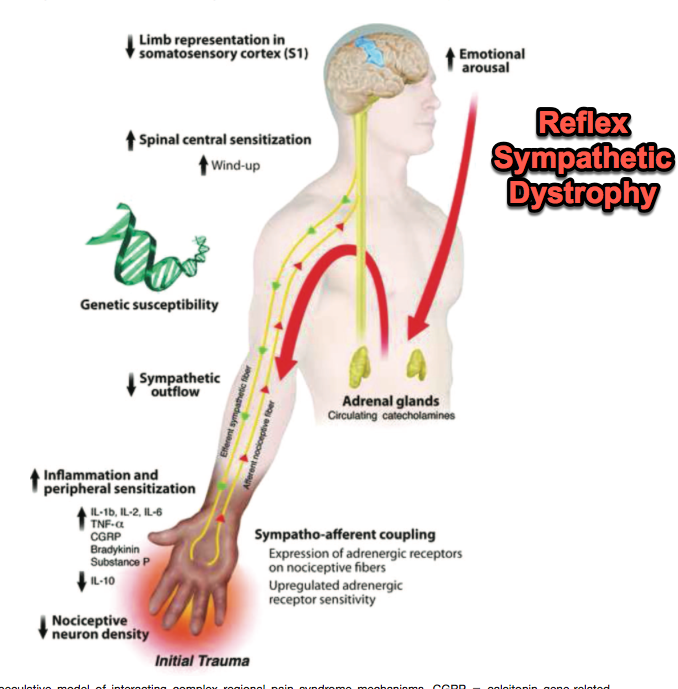 The diagram on the lower left shows where the pain radiates based on which nerve is being affected. This pain is described as electrical or a “shock” down the arm, and can feel like it’s burning and numb. Severe case will cause weakness as well. Radiculapathy is diagnosed by history, physical exam, and imaging. EMG and nerve conduction studies may also be performed to provide objective information of potential nerve damage. Minimally invasive treatments such as epidural steroid injections can be very effective and provide long-term relief when used with other treatments. Sometimes the condition is too severe and requires surgical correction. 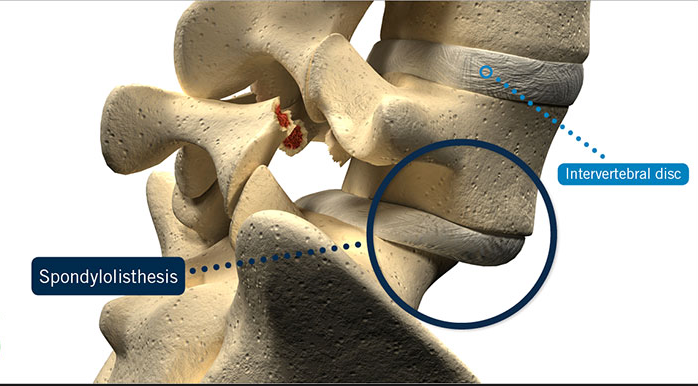 The outer portion of the disc has pain fibers while the inside does not. As the disc degenerates it starts to expose the outer pain fibers to the inner jelly middle, which is full of inflammatory mediators. Once that occurs, the disc itself can become painful and is now known as discogenic pain. This is one of the more difficult conditions to treat. A combination of epidural steroid injections, physical therapy, and medical management usually manages this condition effectively and will improve over time. Sometimes the condition is too severe and needs surgical correction. For these two reasons I believe a strong effort at conservative therapy is worth trying and remaining devoted to over the long term. A trigger point is a localized area of muscle damage that remains in spasm and causes localized pain as well as referred pain. This condition is diagnosed by history and physical exam. You can feel a nodule in the body of the muscle and identify it on ultrasound as well. This condition can be treated with a simple injection as well as deep tissue massage. Some patients find immediate and long lasting relief while others have repeated episodes over time. This usually indicates a deeper problem that is causing the repeated cycle of spasm and pain. . Please see our explanation of trigger point injection for more information. Anything we can do to off load the spine will help with this condition. This includes weight loss, core strengthening, and back bracing. Advanced disease may require further interventions such as medial branch blocks and radiofrequency ablation. Learn more about these two procedures under the services section. Radiculapathy is a term describing an irritated or pinched nerve as it exits the spine. This opening is called the neural foramen. The nerve can be compressed by a bulging disc, an enlarged facet joint, or settling from degenerative disc disease. Bone spurs can also form, all of which can put pressure on the nerve. The diagram below shows a torn annulus with the contents on the nerve. Radiculapathy is diagnosed by history, physical exam, and imaging. EMG and nerve conduction studies may also be performed to provide objective information of potential nerve damage. Off loading the spine with weight loss, core strengthening, and back bracing can provide relief. Minimally invasive treatments such as epidural steroid injections are very effective for mild to moderate conditions. 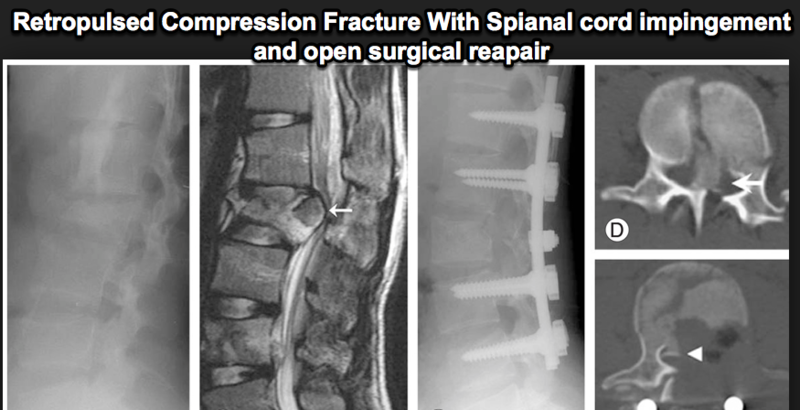 Sometimes the compression is too severe and requires surgical correction. For these two reasons I believe a strong effort at conservative therapy is worth trying and remaining devoted to over the long term . A trigger point is a localized area of muscle damage that remains in spasm and causes localized pain as well as referred pain. This condition is diagnosed by history and physical exam. 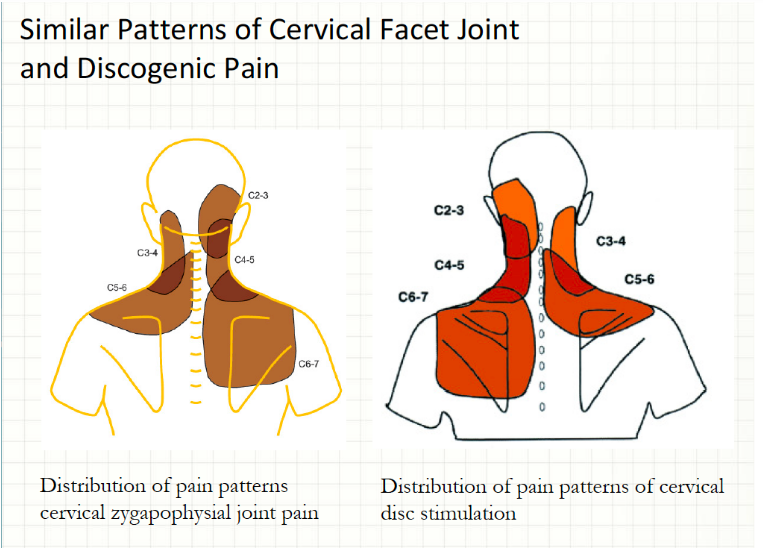 This condition can be treated with deep tissue massage as well as trigger point injection. Please see my explanation of trigger point injection for more information. Compression fractures are a special type of fracture that occurs in osteoporotic bone. As we age, the bones of our body can become less dense and put them at risk of fracture. The bones of the upper lumbar and lower thoracic area are at particular risk, as this is the point where the rigid rib cage attaches to the mobile lumbar spine. Heavy lifting or a fall can cause one of the bones to break and compress, causing a compression fracture. Patients will feel a sudden onset of severe pain in the back that may wrap around the sides of there body. A simple x ray is all that is needed to diagnose it. An MRI adds the advantage of identifying weather it is a new or old fracture as well as providing more detail of the surrounding soft tissue. These fractures are unique because this diseased bone doesn’t heal well. These fractures are prone to progress further into a wedge, causing dramatic postural changes. They can also cause continued pain and may retro pulse into the spinal cord. This is a catastrophic outcome and can be avoided with early intervention. Thankfully there is a minimally invasive treatment call a kyphoplasty. The earlier the patient gets treatment the better. Your chances of re establishing proper vertebral height and preventing progression are greatest early in the injury process. Patients only need light sedation and are left with only a poke hole on the skin. 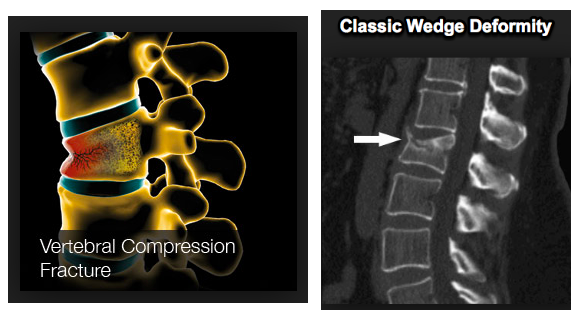 This technique has revolutionized compression fracture treatment and has helps thousands of patients. 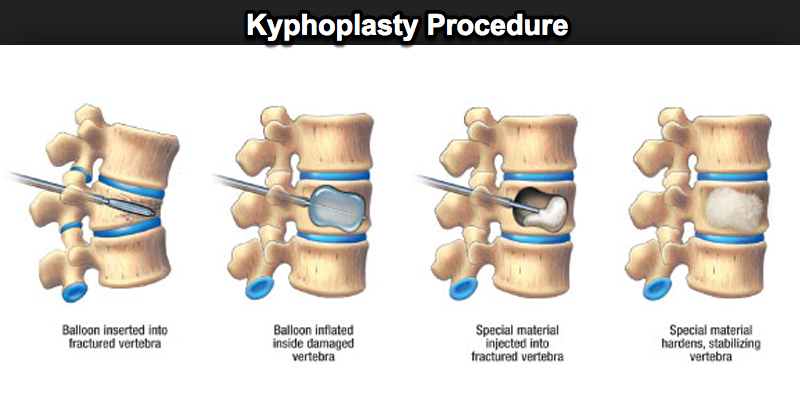 For more detail learn about Kyphoplasty under the services section. This is a condition that is characterized by a “slip” of one of the bones of the spine over another. It can be caused later in life due to degenerative changes or earlier from a defect in the pars interartcularis. Excessive extension, such as back bends that gymnasts perform, can cause this defect. This can also develop over time due to degenerative processes. Many patients can live with this condition without even knowing it. 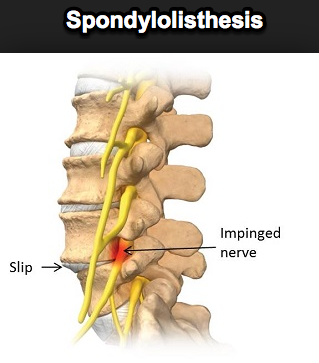 However, as the slip becomes severe, it can put pressure on the nerves and spinal cord. 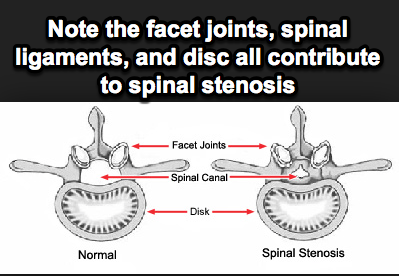 This is called spinal stenosis, or a narrowing of the spinal canal. This can be treated with conservative techniques such as physical therapy, core strengthening, and bracing. Epidural steroid injections can be very helpful as well. Sometimes symptoms are too severe and it may progress over time. Surgical stabilization is then needed. 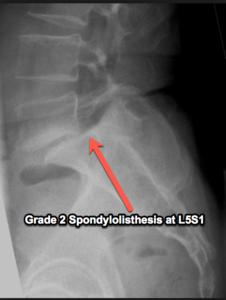 Patients with a grade 2 or larger spondylolisthesis who fail conservative treatment do well with surgery. At that level of slip there is usually such profound stenosis that they can’t be managed conservatively. This is why it is important to establish you’re severity early to assess a realistic prognosis. 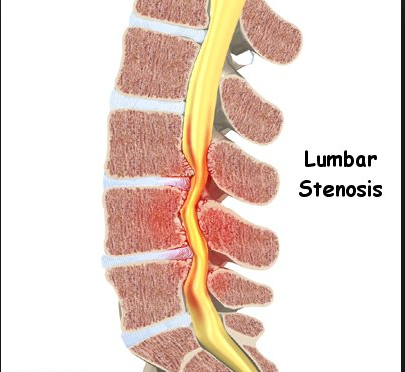 Spinal stenosis is a broad term used to described narrowing of the inside of the spinal canal, which results in pressure on the nerves or spinal cord. This occurs as a result of a bulging disc, enlarging facet joints, bone spurs, and enlargement of the spinal ligaments call the ligamentum flavum. Many elderly patients have a combination of all of these elements, which can lead to profound narrowing and pain. Patients will feel back pain and numbness that goes down the legs or arms depending on the area affected. They often feel best when pushing a shopping cart, as this slight forward flexion lessens the stenosis and provides support while walking. This condition can be effectively treated with epidural steroid injections, core strengthening, and bracing. But this largely depends on the severity. If you have ongoing pain and muscle wasting than surgical decompression is needed. 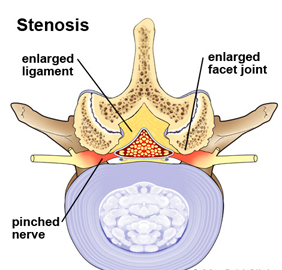 Patients with severe spinal stenosis who have failed conservative therapy do well with surgery. They have too much tissue in a small space and it has to be opened up. The diagrams below nicely illustrate this phenomenon. 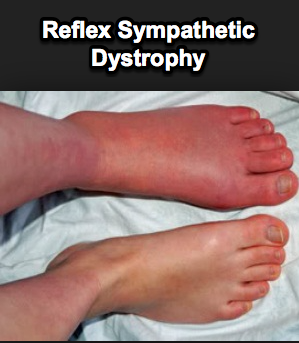 Reflex Sympathetic Dystrophy/Complex Regional Pain Syndrome. This condition is often used interchangeably. It results from either damage to a limb or damage to the nerves in a limb. As that damage heals, the nerve heals in an abnormal way and causes the limb to be hypersensitive and extremely painful. Early on patients will note diffuse pain and burning, as well as redness and warmth. Over time the disease can progress to where it becomes cool, clammy, and non functional. Early identification and treatment is a must for this condition. The longer it is allowed to persist the less likely you are to have a good outcome. Early treatments include medications, physical therapy, and sympathetic blocks. We perform the stellate ganglion block for the upper extremity and a lumbar sympathetic block for the lower extremity. A series of these blocks is often needed depending on the severity of the disease. For more severe cases, neuromodulatory techniques such and spinal cord stimulation and peripheral nerve stimulation are needed to treat this condition. Please see my treatment section for a more detailed explanation. These conditions can occur in patients that have had either a laminectomy or a multi level fusion. Normally our spinal nerves slide through a structure called the neural foramen as we move our limbs, a phenomenon known as “neural flossing”. When a patient needs an operation to take pressure off the nerves or stabilize the spine, scar tissue forms in the area that has been operated on. This can cause the nerves to be tethered in a bed of scar, such that moving the limb causes repeated tugging of the nerve. The nerve reacts by become more and more sensitive over time, potentially getting to the point where patients experience continual and intractable back and leg pain. Early in the process patients can perform aggressive neural flossing exercises and try a series of medications. Other patients need a more definitive solution, which can be achieved with a spinal cord stimulator. Please see my treatment section on neuromodulation and spinal cord stimulation for more details. Arthritis is a general term used to describe disease of the joints. Any joint in the body can be affected by arthritis. We use a variety of modalities to treat this type of pain. Non- steroidal medications as well as other non-opiate medications can be very helpful. Physical therapy modalities that increase range of motion and strength can dramatically improve function. Neuroablative procedures such as radiofrequency ablation can be used in a variety of areas to treat localized problem areas. We employ intra-articular injections as well for problems of the shoulder, hip, and knee. Long-term opiate therapy can also be used for those with advanced diffuse disease in a small subset of patients. And lastly, Platelet-rich plasma (PRP) has led to significant improvement in pain and function but is considered experimental and is not covered by insurance or medicare. 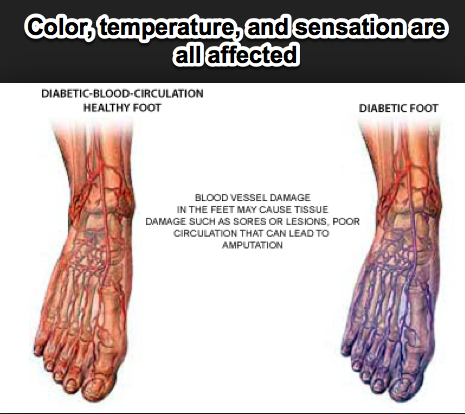 Diabetes is an extremely common condition that can affect the nerves over time. Patients will often complain of burning pain in a “stocking glove” pattern over the feet and lower legs. They may also notice skin changes and discoloration as the condition progresses. Initial treatment focuses on glucose control and medications. Sometimes the condition is too advanced, and a more advanced treatment with a spinal cord stimulator may be needed for long-term pain control. Please see our treatment section for a detailed explanation. The shoulder is one of the most complex joints in the body. Unfortunately this complexity can predispose patients to a variety of conditions. Rotator cuff tendinitis, Subacromial impingement, “SLAP’ lesions, and degenerative changes can all occur in the shoulder. We can diagnose and treat your pain through a detailed history, physical exam, and imaging modalities. Physical therapy and a variety of injections can be employed to treat your condition. Sometimes there are mechanical problems that need surgical correction. No matter the cause of your pain is, we can treat whatever condition is affecting your shoulder. The elbow is a joint that is subject to repetitive use injuries. Demands of work and recreational activities can cause pain in the elbow. We can diagnose your pain with a history, physical exam, and imaging. 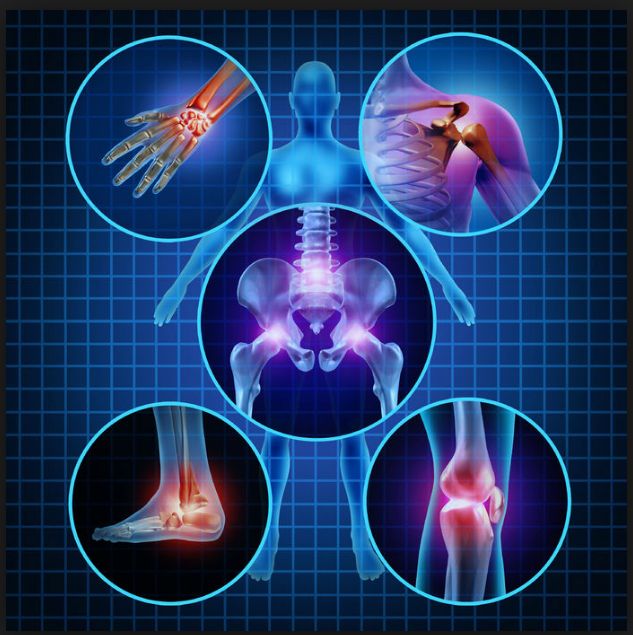 We employ multiple modalities including physical therapy, medications, and injection therapy. Only in the most severe cases is surgery indicated. We can diagnose and treat all conditions that affect the elbow. The wrist is a complex joint that is also subject to a variety of injuries. Carpal tunnel syndrome is the most common condition, which is usually treated with physical therapy, night splints, and injections. Sometimes the condition persists, and an EMG/Nerve conduction study is used to confirm the diagnosis. If nerve damage is present, a carpal tunnel release may be needed. Other degenerative conditions can also affect the wrist. Whatever is causing your wrist pain we can diagnose and treat your condition. The Hip is a large joint that can cause pain. Repetitive use can cause bursitis or inflammation of the joint as well as degenerative arthritis. We will perform and history, physical exam, and imaging to diagnose and treat your condition. Minimally invasive intra articular injections can be used to both diagnose your pain as well as treat it. Sometimes the degeneration is too advanced, and a total hip arthroplasty is needed to surgically correct your problem. No matter what your condition our doctors can treat whatever modality is necessary to restore proper function. The knee is one of the most common areas of pain. Acute injuries like a torn meniscus, cartilage damage, or a torn ligament can cause pain. More chronic conditions like degenerative arthritis or continued pain after total knee replacement can occur. The combination of a detailed history, physical exam, and imaging will allow us to find what is causing your pain. Minimally invasive treatments for the knee includes intra articular injections with a variety of medications, knee arthroscopy, ligament reconstructive surgery, total knee replacement, or genicular nerve block and radio frequency ablation can be used depending on the underlying condition. No matter what your condition requires we offer the full range of treatment modalities for your particular condition.